This article, “Career counselor: Washington DC – Find the best match for you”, was previously published in Washingtonjobs.com, a subsidiary magazine of the Washington Post; it explores how to find a career counselor, a career coach or an executive coach. Also, it examines when working with a psychologist with expertise in career counseling might be useful. An updated version is provided here. You feel that your work-life is not quite on track. You had a job you loved — but, over time it began to feel routine or mundane. Or perhaps you loved your job but it began to consume your entire life. And you began to feel that there must be more to life than work, work, work! Or, maybe, you found yourself trapped in “golden handcuffs”, working in a less-than-interesting career for a more-than-interesting salary. Or, maybe you never felt that you had the ideal career. Maybe you were of the work-to-pay-the-bills, “remember, that’s why they call it work”, mentality. Over time, however, you came to realize that you wanted more out of your job. You didn’t want a career, you wanted a “calling”. You’ve been thinking and talking about this for a while. You have asked the significant people in your life, and your friends, about it. You’ve consulted colleagues and mentors. But you still aren’t sure how to go about charting your career path. You want to explore it with someone who is knowledgeable and experienced, someone who can help you formulate and pursue a work-life plan. You are considering seeking career counseling or executive coaching but how do you wade through the array of options to find a career counselor who is the best fit for you? (1) Before you select your career counselor assess your own needs and expectations. (2) Evaluate your prospective career coaches qualifications. (3) Assess whether you should work individually or in a career counseling group. (4) Know the cost of career counseling. (1) How do you assess your career counseling goals? An important prerequisite to selecting a career counselor is to clarify your own career goals and needs. Yet, if you knew the exact nature of the help that you needed, you might not need to seek career coaching. It is the old “chicken and the egg” problem. Do I need help determining my career goals? If your difficulty is uncertainty about identifying your career goals, this may be a relatively easy difficulty to overcome. Reading and doing the basic exercises in career books such as: Richard Bolles, What Color is your Parachute? Or, Barbara Sher’s, Wishcraft may be able to clarify your career goals. Alternatively, a trip to your college career center … even if you are already an alumni may help you to clarify your career goals. Of course, many people have more pervasive difficulties figuring out their career goals; those who do might consider the ideas below. Do I need help developing a strategy for pursuing my career goals? That is, are you one of the many people who have clarity as to your career goals – but, uncertainty as to how to pursue them? Do I need help overcoming the obstacles that stand in the way of achieving my career goals? Are you among the people who know what they want to do and have a plan for doing it, but can’t seem to overcome roadblocks that stand in your way? If, you know what you want to do but can’t seem to overcome the obstacles that get in your way, list these obstacles. Ask yourself, what is preventing you from achieving your goals? Is it not knowing your goals? Is it not knowing enough people who have successfully achieved similar goals? That is, are do you have a network of people with similar goals who are at various stages in their own professional development? Or, is this something that you need to develop? These challenges may yield with the help of a career counselor or coach. Many people know what they want. They know what job strategies will prove effective; however, they fear rejection and/or they are bad beginners. Often, fear of rejection, only yields to a consistent, in depth approach that psychotherapy, or psychoanalysis, affords. Ask yourself, do I need help getting beyond my fear of rejection? If despite knowing exactly what you need to do, fear of rejection stops you in your tracks, you may want to consider seeking help from someone who is both a Master Career counselor (MCC) and a psychologist or therapist. Do I need help with the fact that I am a “bad beginner”? Many very bright, talented people, have never learned to tolerate failure and frustration. Ask yourself: Am I intolerant of the learning curve inherent in taking on any new endeavor? For example, do you have difficulty tolerating the inevitable mistakes intrinsic to this journey? To assess your career counseling goals, answers the questions above in a paragraph or two. Carefully review the answers to the above questions. Now, write a second paragraph. Describe your special talents and strengths. If you are uncertain as to your special skills — ask five friends to identify your best five talents. The key here is to set up the task so that your friends are prepared to say what comes to mind without a lot of forethought. If you do this, you will find a very fascinating thing: people who know you well, but who do not know each other, will often come to very similar conclusions about your special gifts. Next, write a paragraph, or two, describing how you will know if the career coaching or career counseling has been successful. That is, describe what, specifically, will be different. Don’t say something like, “I will have a lucrative job that I love”. Think about what it will really take to actually change your circumstances. Do two things: First, describe, very specifically, what the ideal result of career counseling will be. Second, detail the steps that you will need to take in order to achieve your career goal. That is, describe what will happen in the career counseling process that you help you to achieve your goal. At the end of my work with my career counselor, I will have a clear idea about what sort of career I would enjoy. Since, I want to remain in Washington DC; this job will have to be in the Greater Washington DC metropolitan area. After I’ve clarified my career goal, I will develop the skills to launch an effective job search. I will learn how to use social media and I will implement other modern job search strategies. Tempting though it is to surf the internet and say that I am actively engaged in my job hunt, I know from experience that this isn’t an effective strategy. Instead, I will use the knowledge and these tools that I have developed to successfully implement a job search. I will find a job that I love, or at least, a job that I like a lot. Since I want to remain in Washington DC, I will need a career counselor who is familiar with this market. I realize that the career counseling process will take some time. I need to develop knowledge and proficiency that I do not yet have. To make this process work, I will need to schedule, attend and actively participate in career counseling sessions. I will need to be as honest as I can be about my likes and dislikes. When I find myself avoiding homework assignments, I will need to talk openly with my career counselor about what getting in my way. Also, if I find that I’m not following through, I need to consider what psychological factors might be at play. That is, for example, am I afraid of success? Am I worried that I’ll eclipse a sibling, a parent or a spouse? Am I anxious or depressed? Or, are other things a priority for me such as my family or my current job? When I find myself stuck, I need to think about, and talk about, what obstacles are getting in my way. Now, answer the question, how long do you think that this process will take? This step is crucial for two reasons. First, many people seek career counselors or coaches expect or wish for magical or instantaneous solutions to problems that have persisted for many years. They may seek career counseling with the thought that after attending 3-4 sessions, their long-standing difficulties will be resolved. And they may be disappointed when their difficulties do not remit, immediately. While a short-term focus may be very appropriate and realistic for a new or a relatively situational difficulty, long-standing struggles may yield only to a more persistent effort. For example, the person who is chronically underpaid may seek help for specific aspects of career life. They may require help in salary negotiation; this may yield to a very brief intervention. In contrast, in the vignette above, the individual makes reference to possible difficulties that suggest that he may need a career counselor who is also a licensed, psychologist or psychotherapist. Taking this kind of personal inventory will help you to clarify your expectations and your strengths; it will help you to assess whether your time-table and expectations for career coaching are realistic. The second benefit of this step is that your self-inventory will help you clarify the nature of the career counseling that you require. For example, the array of professionals who offer career coaching or career counseling includes, persons with MBA’s, masters in information technology, published authors, psychologists, psychoanalysts, and other psychotherapists, as well as those from numerous other backgrounds. Each offers something unique. How do you decide what sort of help you need? If you know that you want to pursue training to become an internet administrator and your career goal is to figure out how to network in that world, consider seeking a career counselor with special expertise in that area. If you want to write, you might seek out a career coach who is a well-published, author. If you are considering medical school, you might find a career coach with expertise in guiding people toward that goal. Similarly, if despite economic success, you have never enjoyed your work, you might consider working with someone who might help you begin to become more aware of your likes and dislikes, such as a psychologist, a psychoanalyst or psychotherapist who specializes in career or work-life concerns. What if you find it impossible to write these paragraphs? Difficulty writing these paragraphs is a “diagnostic” sign that you should seriously consider a psychoanalytically-informed, career assessment. This type of assessment is described in detail in the August 2000 issue of Washingtonjobs.com and in the Washington Business Journal. For career counselors and coaches, and the interested public, I describe it, more comprehensively, in two articles in the Career Convergence the magazine of the National Association of Career Development. These articles are: Understanding the Role of Unconscious Conflict in Career Counseling and Understanding the Role of Transference in Career Counseling. A psychoanalytic, or psychodynamic career assessment can be helpful in clarifying what kinds of psychological factors get in the way of you identifying and achieving your career goals. Often, parents who are concerned about their adult child’s unhappiness offer to pay for evaluation, coaching, counseling or psychotherapy. While this can be very helpful, prior to making this offer, I’d encourage parents to consider three steps: First, read the two articles above to obtain an understanding as to why career counseling efforts sometimes fail. Second, read this Washington Business Journal article on failure to launch. Third, both parents should consider talking with an expert (ideally, someone with expertise in psychotherapy and career counseling), together, to understand what sort of steps they can take to support their adult child’s maturation. Many parents are so frustrated with their adult child that they resent this recommendation. Understandably, they may feel that it’s not their responsibility but rather their child’s. However, like we said in the sixties, “if you aren’t part of the solution, you may be part of the problem”. Those who follow through, consistently, often are more able to help their adult child to get on track and find career satisfaction. While the immediate road ahead may be rocky, kids who are supported in growing up often express gratitude to their parents though sometimes years later. 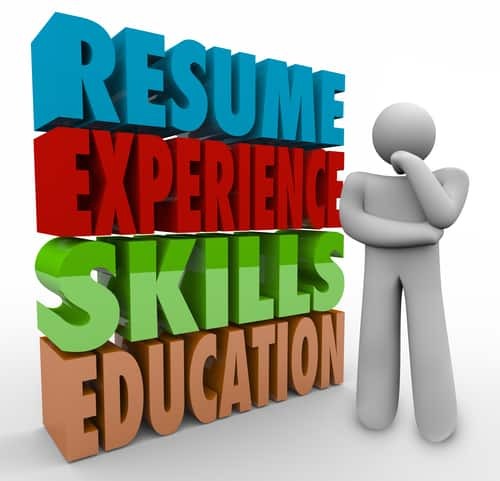 (2) How do you review your prospective career counselor’s qualifications? After you define your career goals and needs, how do you go about selecting a career coach or career counselor? This is especially challenging when one considers that the titles “career counselor” or “career coach” are not regulated by state law in most states. This means that anyone can legally hang out a shingle and call themselves a career coach or career counselor. Yes. Anyone. The fact that there are so few accredited career counseling programs means that most veteran career counselors acquired their skill set in unique and individual ways. So how do you assess whether your prospective counselor has the requisite skills to be helpful to you. For what sort of expertise are you looking? Do you want someone with expertise in information technology? Publishing? .coms? Or, do you feel that your career struggles are more related to difficulties with self-esteem, conflicts about success, self-doubt or other struggles that you do not fully understand? In any case, you need to seek information about your prospective career counselor’s credentials. Anyone who you are considering should be willing to describe and document their background. The National Career Development Association (NCDA) provides a list of people who have met to qualifications to be Master Career Counselors (MCC). Here’s their national list of Master Career Counselors. Unless you need highly specialized, career-specific, expertise, you should seriously consider seeking out someone who is both a Master Career Counselor (MCC) AND a psychologist or therapist; these individuals may specialize in career counseling or career coaching AND have expertise in psychotherapy and mental health. An advantage to working with a psychologist or psychotherapist who specializes in career coaching is that they have broad-based training in understanding human behavior. Often, they are trained to understand and to address roadblocks to change. Moreover, they are trained in, and expected to adhere to, the ethical and professionals standards of their discipline. They are well trained listeners. Finally, if they feel that they lack the requisite skills to help you, they can do an assessment and refer you to someone whose skills match your needs. Another alternative is to seek out someone with an MBA or a business background, again, this depends on how you define your needs. Another possibility is to seek someone with field-specific expertise (i.e. if your goal is to publish, someone in publishing). Finally, there are a plethora of “career coaching” programs. They are still in their infancy; usually they are not housed within a university. Rather, they are free standing programs; consequently, less is known about them than about career counseling programs. The important thing to remember about unlicensed professionals is that they may not be prepared to deal with psychological and emotional concerns. While some will be very skilled with niche-specific expertise, others will have few or no credentials at all. (3) How do you consider whether you should work individually or in a career counseling group? When you contact your potential career counselor, you should consider whether you should work individually or in a career counseling group. Individual consultation, which is often a good place to start, can afford you the opportunity to focus very specifically on your unique issues. However, real benefit can be derived from working in a group and sharing the wisdom of the group. Often group members provide helpful suggestions, ideas and support to each other. Beyond these benefits, groups are often cost-effective. Ask your career coach if they lead groups. People working in the career counseling arena, with individuals, vary greatly with respect to the fees that they charge. Some charge a per session rate for a 45 minute session while others charge a per program rate (which can cost several thousand dollars). Beyond this, one should be a bit wary of anyone who asks you to make a financial commitment to a long-term program. Ideally, the career counselor will charge you only for those sessions that you schedule. I do not recommend seeing any career counselor or career coach who requires that you sign on for an entire program. An exception to this rule seems to me to be participating in a time-limited group. Career counselors who lead groups need to ensure that the group is viable. Therefore, they often require “tuition” at the outset. This seems quite legitimate to me. Other then that, my bias is to urge people to pay a per session rate. In this way, you can re-evaluate the benefits as you progress. I know that Richard Bolles, the author of, “What Color is your Parachute”, shares this view. To be fair, I do know some reputable people who charge by the program. The problem is: I don’t know how to tell you to differentiate between them and those who are less than scrupulous. Consequently, it seems to me that paying per session, or for a few sessions, as you go is the most prudent course. Career counseling can be enormously useful. However, prior to embarking on this journey, it’s important to take a self-inventory. In this way, you can assess what sort of help would be most useful to you. Taking a few preparatory steps can improve your results exponentially. I hope this article Career Counselor: Washington DC – Find the best match you, has been helpful. If you are interested in consultation regarding career counseling or psychotherapy feel free to call me: 301.656.9650. To streamline things, leave your name and number and the time that it is best to reach you.